Thiruvananthapuram : Deadly cyclone Ockhi in Kerala and Tamil Nadu is likely to weaken gradually from Sunday morning, said IMD department. 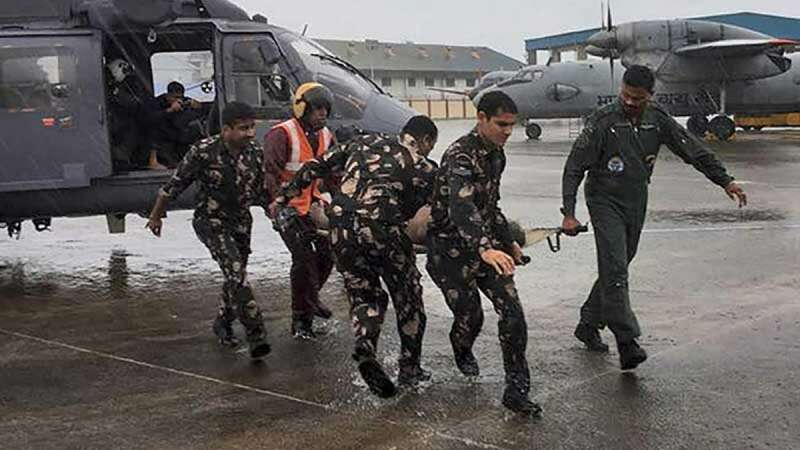 The weather department, however, did not reject splash of heavy rains and fast winds in the affected areas of Tamil Nadu, Andhra Pradesh and Puducherry. "The very severe cyclonic storm 'Ockhi' over Lakshadweep area and adjoining Southeast Arabian Sea further moved northwestwards with a speed of 15 kmph during past 6 hours and lay centred at 2330 hrs IST of December 2, 2017 over southeast Arabian Sea near Latitude 11.1º N and Longitude 69.7º E, about 330 km west of Amini Divi. The system is very likely to weaken gradually from December 3, 2017 morning," it said in a statement. The storm has claimed 22 lives so far, while Kerala government has rescued over 530 fishermen till last updates. A compensation of Rs 10 lakh to the next of kin of those who lost their lives in the cyclonic storm has also been announced by the Kerala government. Earlier today, Centre rejected Kerala Government's request to declare the Ockhi storm a national disaster and said that more funds will be allocated to the state for development but there is no need of any declaration. (Read full story on declaration of National disaster here).